ugs do get dirty with dirt, food stains or drink stains. The best way to clean your rugs is to clean them immediately after they get dirty but rarely is this done. 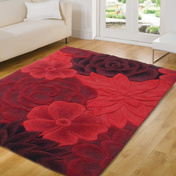 Moreover, continuous use of rugs fills them with dust and dirt which can only be cleaned by a rug cleaning specialist. When you have a great looking rug that's been the site of numerous pet accidents, toddler spills and heavy foot traffic, you need it cleaned by CJs Carpet Cleaning Service. .CJ's Carpet Cleaning Launceston has the knowledge experience and products to rejuvenate your treasured rugs and to extend their life through regular cleaning and care. We use professional products which are environmentally friendly and will help to alleviate build up in the home which may contribute to asthma, and allergies. Rug cleaning is very important for a lot of reasons. Obviously just having a clean home is the main reason but you can also save time and reduce allergens in your home by having your rugs cleaned by a professional. Cjs Carpet Cleaning will have you rug looking and smelling like new! After the steam cleaning is done its time to protect your upholstery. For a small additional fee we will apply protector for your upholstery which creates invisible shield to protect the fiber from spills and stains becoming permanent. It does that by providing you with extra time to take care of the spill before become permanent. Its biggest job though is not letting dry soil bond with the fibers. This way your upholstery will look cleaner for longer.